Steven (Chicagoland, United States) on 7 December 2010 in Cityscape & Urban and Portfolio. 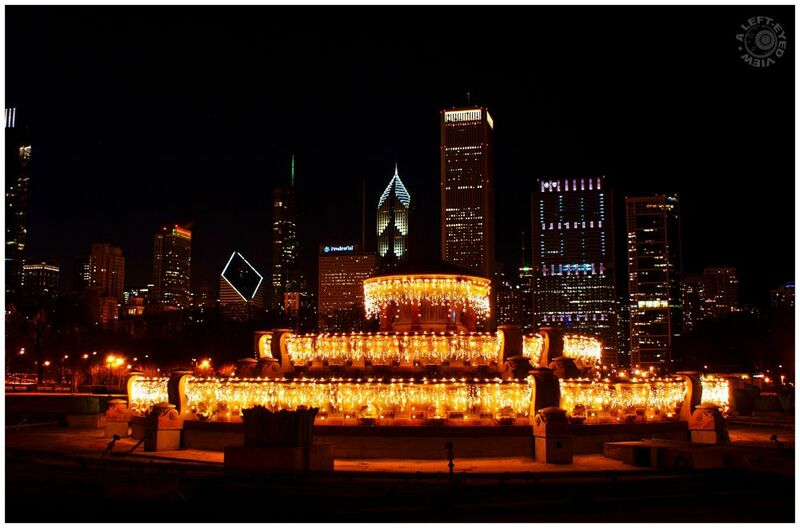 A second photo of the Buckingham Fountain draped in icicle lights. This time looking NNW toward a better-lit Chicago skyline in the background. The first photo can be found here. Photo captured November 27, 2010. How enjoyable, such enlightments ! Definitely fairy. Fantastic ! Night shot , so clear, so sharp - just great ! I like this shot! Great capture of the fountain lights and the skyline in this version is superb! An awesome shot! Love the golden light of the icicle lights. I like the color better in this one. The fountain is always gorgeous in winter!